I never thought I would be saying "Welcome to the World of Online Dating," but here we are. After a decade's long marriage I find myself on a dating site. Who would have thought? I am doing my research. I have visited many sites that discuss online dating. On these sites, there are lists of precautions or "red flags," things to avoid. Today I thought we would visit one that I found listed as a red flag on many sites....The Blurry Profile Photo. I have consulted numerous dating sites for their opinion on the blurry profile photo. Most of the experts agree that this may be a red flag. Here is the consensus. *If someone has only one picture and it is blurry they may be trying to hide something. This person may be insecure about who they are and could be misrepresenting themselves. *Many agree that if there is only one blurry photo in a group of clear images, it is probably an innocent mistake. *It could be a fake profile. *If the person does not take the time to put up a precise and accurate photo they may not be taking this dating process seriously. They may not be committed to the process. *And then again it may just be that this want to be dater is technically challenged. They may have cropped down a photo so much that it has lost its clarity. I have over 100 matches on my dating site. I am going to go through them now and delete any that have only one photo, and that one image is blurry. I am noticing many folks don't put any pictures up at all, but that is a topic for another time. Have fun dating but please take precautions. Disclaimer: I have little experience with online dating. 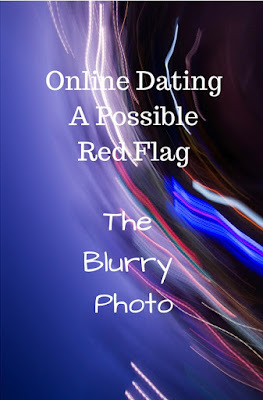 I will be consulting many sites online for those who have more experience and expertise in the world of online dating plus I will throw in some of my experiences as well. I have no idea if the advice I find is true or false, but it is thought-provoking, and I will definitely heed their warnings. "Honestly, onine dating could be a good and bad thing. Great article that covers pros and cons of that on this blog https://datinglodge.com/is-online-dating-worth-it/ As for me… I have spent a lot of hours on datings sites and apps, and it was really hard way for me to find a sincere person.